at my church it’s tradition to provide meals for families with new babies for a couple of weeks after the baby arrives. some of my good friends greeted their third little man recently, so, in answer to request for meals, a lot of the singles at church made a meal by themselves or with a couple of other people. 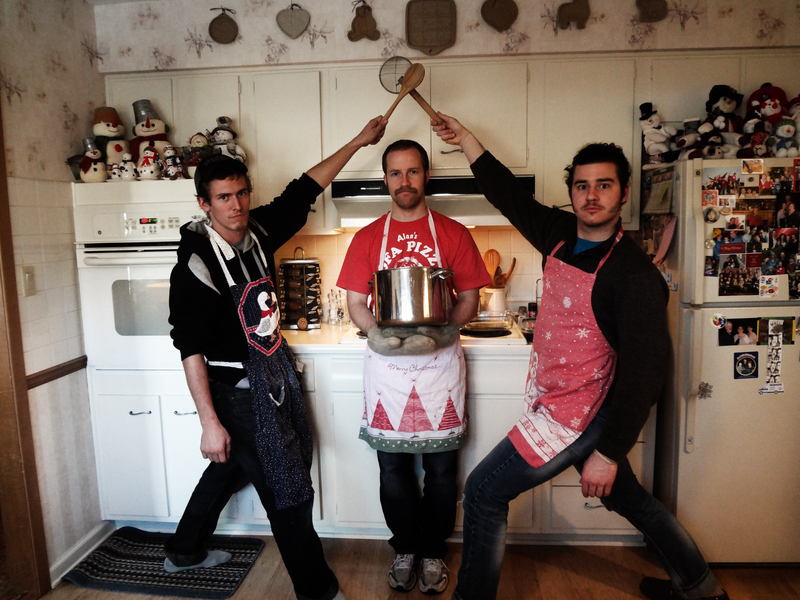 as a result of who was available when, i found myself in charge of three guys and responsible for cooking dinners for two evenings. the selection of my compatriots made me laugh, not only because of who they were (great, hilarious guys), but also because i somehow often seem to wind up being the only girl in a group. that by itself is funny, and, i think, another gentle way God teaches me to get outside my comfort zone. one of our group got sick and wasn’t able to come, but my twin brother brought a surprise friend along with. we figured out he’d actually been to my house once before, four years or so ago after a photography scavenger hunt i hosted. after they went home, my mom and i decided they could come wash our dishes every saturday.